If you have been unlucky enough to fall from health, then call us and let us put the spring back in your step! Over 19 years successfully treating cervical and lumbar disc bulges and herniations. We work in conjunction with local neurosurgical and orthopedic offices to achieve the best outcome for YOU! Quality & compassionate care are the norm from Dr. Titus and his staff. Call Stacy to set up an appointment for massage therapy with Kirstin or Shauntae! 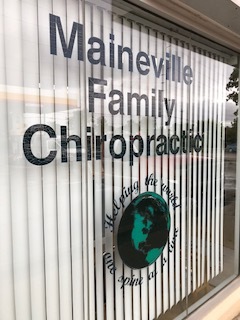 You have arrived at our website: www.mainevillefamilychiro.com, the online home of chiropractor Dr. Duane Titus of Maineville Family Chiropractic. Located in Maineville, OH, the leading health professionals at Maineville Family Chiropractic are dedicated to helping you achieve your wellness objectives; combining skill and expertise that spans the entire chiropractic wellness spectrum. Dr. Duane Titus is committed to bringing you better health and a better way of life by teaching and practicing the true principles of chiropractic wellness care. 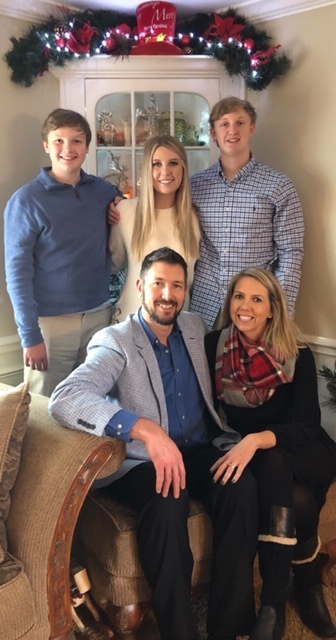 Patients seeking treatment at Maineville Family Chiropractic with Chiropractor Dr. Duane Titus are assured of receiving only the finest quality care through the use of modern chiropractic equipment and technology. Dr. Duane Titus and the staff have a genuine concern for your well-being! Come visit Maineville Family Chiropractic in Maineville, OH. Maineville Family Chiropractic of Ohio seeks the origin of the problem. Using this information, a diagnosis is made. Included in the diagnosis is the probable reason for your pain or discomfort. It is important to note that chiropractors seek the origin of the illness in order to eliminate it-we do not simply treat the symptoms. If your roof is leaking, do you simply catch the drips in a bucket for years on end, or do you repair the roof to prevent it from leaking? Similarly, if the migraine headache you've had all week is being caused by misaligned vertebra and an irritated nerve, do you continue to take pain killers indefinitely, or do you realign the vertebra to prevent the pain? You get the picture. Maineville Family Chiropractic of Ohio fixes the origin of the problem. Chiropractors have a term for misalignments: subluxations. A vertebral subluxation is a misalignment of the bones that protect the spinal cord. It's a leak in the roof or a kink in the wiring of your nervous system. The severity of the subluxation can vary, and there are a number of potential contributing factors that can be physical, emotional, mental, or chemical. The subluxation can be caused by any number of incidents, from birth trauma to an auto accident to simple repetition or over-use. At Maineville Family Chiropractic, Dr. Duane Titus and the chiropractic staff seek to uncover your whole health and wellness picture, find the origins of health problems, and fix those at the root cause. We look forward to your visit at our office in Maineville, Ohio.